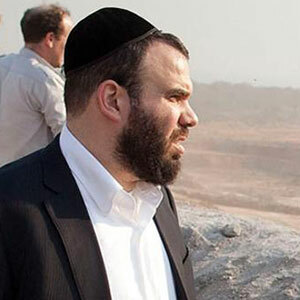 On June 14, the U.S. Department of the Treasury’s Office of Foreign Assets Control (OFAC) sanctioned 14 more entities related to Israeli diamond magnate Dan Gertler (pictured). That’s on top of 19 Gertler-related entities that were sanctioned in December. OFAC also designated the 44-year-old billionaire a “sanctioned individual” at that time. If an entity is the target of OFAC sanctions, U.S. citizens and companies are prohibited from engaging in transactions with those entities. The Gertler-related entities are being sanctioned under the Global Magnitsky Human Rights Accountability Act, which authorizes the president to sanction individuals guilty of corruption. It charged that the DRC lost more than $1.36 billion in revenues because of underpricing of mining assets that were sold to offshore companies linked to Gertler. The 14 Gertler-affiliated entities being sanctioned are: Moku Mines D’or SA; Moku Goldmines AG; Fleurette Energy I B.V.; Fleurette Africa Resources I B.V.; African Trans International Holdings B.V.; Fleurette African Transport B.V; Oriental Iron Company SPRL; Iron Mountain Enterprises Ltd.; Sanzetta Investments Ltd., Almerina Properties Ltd.; Interlog DRC; Kitoko Food Farm; Karibu Africa Services SA; and Ventora Development Sasu. “Treasury is sanctioning companies that have enabled Dan Gertler to access the international financial system and profit from corruption and misconduct,” undersecretary of the Treasury for terrorism and financial intelligence Sigal Mandelker said in a statement. In a statement, nongovernmental organization the Enough Project praised the action, slamming Gertler as a “corrupt tycoon,” and called on the European Union to follow the United States’ lead.